Bespoke hangar doors: Butzbach fiberglass hangar doors ensure superior light quality in the hangar, optimum functionality and permanent availability. 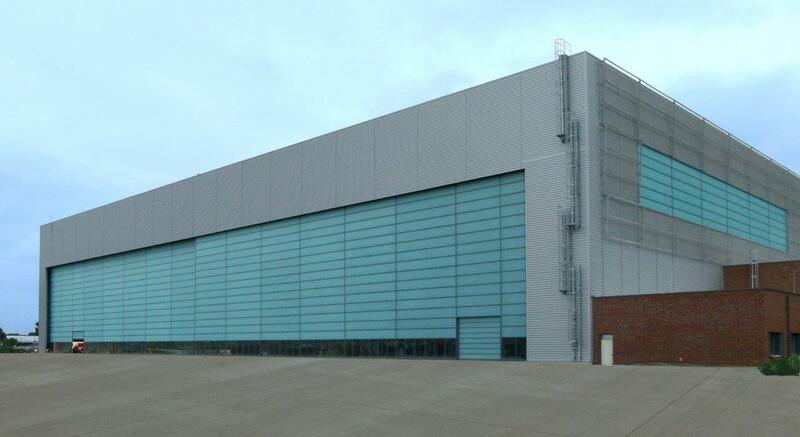 With more than 800 hangar door projects realized in 30 years we have a comprehensive experience and expertise. Each door, new or for renovation, is planned and executed individually. As an integrated corporation we supply you with consultation, design, development, production, assembly, service and maintenance – from one source. Round-the-corner door with 90° deflection and guidance along the hangar wall.